As we highlighted in our early hands-on preview of the game, the Pillars of Eternity franchise has always been shaped - both literally and in a more meta-textual sense - by its fixation with the past. 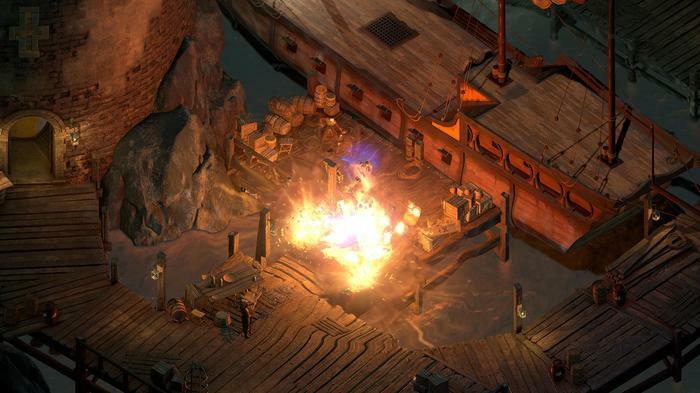 Crowdfunded by fans in 2012 and released in 2015, Obsidian’s first Pillars of Eternity game was a throwback to the grainy, dense and ambitious CRPG adventures of the 1990s. By design, it offered a nostalgia hit that extended not just to the style of gameplay but also reflected in the setting and themes of its story. Set in the America-inspired Free Palatinate of Dyrwood, Pillars of Eternity very explicitly focused on what it meant to reckon with the past. You took on the role of a “Watcher” - a figure able to (literally) see into the past lives of others. You traveled the land, resolving conflicts, righting wrongs and uncovering valuable truths lost to time. As a result, the question of how to evolve that formula and focus in a sequel feels like a pretty open-ended one. Sure, it would have been easy to just double down and make “more” of what that first game offered. However, having already done with The White March expansion pack, Obsidian now set their sights a little higher. Done with pulling from the past, Deadfire follows the series' central fixation forward to its logical conclusion. If one of the main reasons that CRPGs like Pillars of Eternity are so beloved is because of the way they evoke and emulate the feel of tabletop roleplaying experiences, why settle for emulating the former of the two? Why not go straight to the source of that appeal? 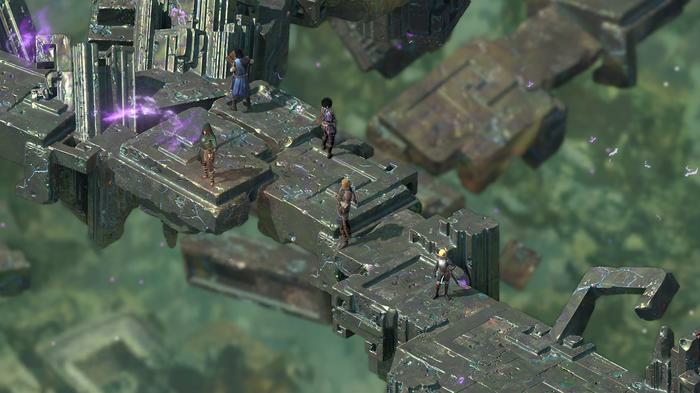 Pillars of Eternity 2: Deadfire sets out driven by the same motivations as its predecessor but a willingness to innovate and reinvent its approach sees it emerge triumphant. 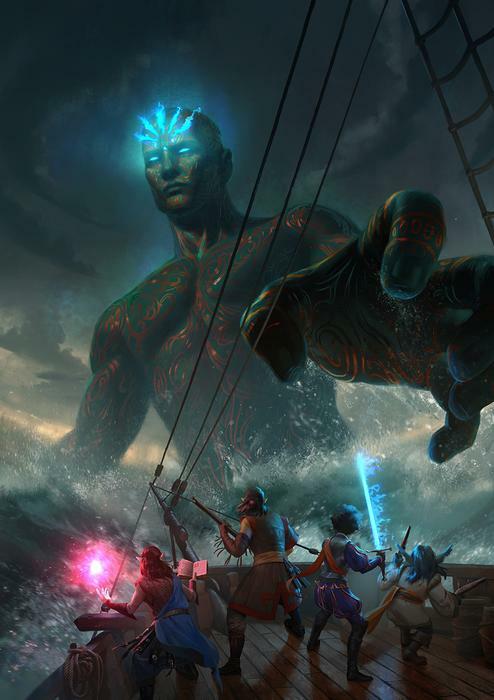 Where the original Pillars sometimes felt like just another one of those games, Deadfire makes a strong and compelling case for itself as potentially one of the best the genre has produced to date. Set following the events of the first game, Pillars of Eternity 2: Deadfire sees you resume the mantle of The Watcher of Caed Nua. Possessed by a god named Eothas, a jade colossus rises from the earth beneath your castle, stomps all over everything you spent the last game building up, snatches away part of your soul and makes a B-line towards the nearby Deadfire Peninsula for reasons unknown. Without spoiling anything or getting too mired in the details, your overall goal in Deadfire here is to track Eothas down, learn what his (presumably-destructive) plans are for the world and put a stop to them. Of course, much like the first Pillars, the journey towards that destination isn’t nearly as straightforward as it might seem. There's plenty of nuance to be found here. The Deadfire Archipelago is a region fraught with conflict between the native denizens, foreign powers looking to colonize the region and ravenous pirate tribes of the Príncipi sen Patrena. As your pursuit of Eothas intensifies, you’ll want to bring at least of these factions on-side, which involves completing missions for them. As a result, the structure of Deadfire is surprisingly open-ended. You’ve got a lot more freedom than the first game and the story manages to find a deft balance between making the world feel big without that getting in the way of actually navigating and traversing it. 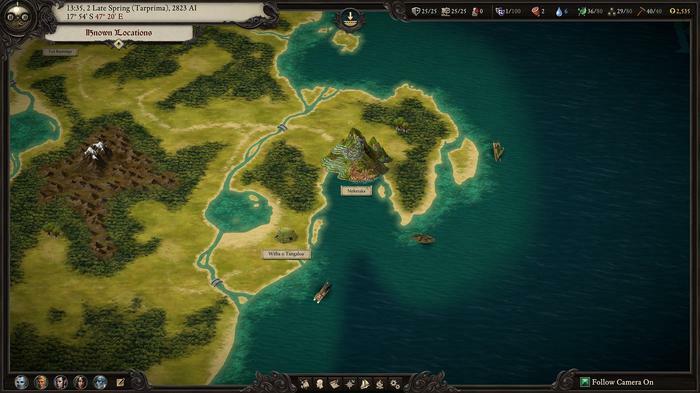 Much like the first game, Pillars 2 features both realistic travel times and a day-night cycle. However, this time around (and in line with the naval theme of the game), you’ve also got a fully-fledged naval vessel at your disposal. Like the castle management in the first game, this is much more than a purely aesthetic inclusion. You have to manage your crew, make sure your pantry is stocked with enough supplies and more. Morale is also important too. If you only stock your ship’s pantry with the barest of rations and most milquetoast of booze, your crew of sailors will grow discontented and eventually even mutinous. Regardless, encounter another ship and you’ll enter a choose-your-own-adventure-style battle system of seafaring maneuvers. Get close enough and you’ll be able to board that ship and fight the crew directly. For me, the latter proved the more compelling part of the process but it's an interesting execution on this idea nonetheless. It’s probably my least favorite of the new mechanics that Pillars 2 brings to to the table in that it’s a little tedious and repetitive but it’s not too egregious or overbearing. Notably, if you’re not a fan of the naval combat or ship management elements, Obsidian have included options that allow it to be partially automated and easily-avoidable. As fun as the management systems here can be, you’re rarely forced to engage with them in order to see the game’s story through to its conclusion. As someone who was mostly there for the story, this was an appreciated choice. Both the game’s graphical and combat engines have also gone some reworks. Combat is fundamentally the same but feels a lot-less passive and lot-more fast-paced. To point at another RPG series as an example, it feels very much comparable to the shift in the way combat handled between the first and second Dragon Age games. You can scramble to micromanage your party as things happen or pause the action and take your time. Thankfully, like the first Pillars, Obsidian do give you the option of lowering the difficulty of combat if you are mostly here for the story. 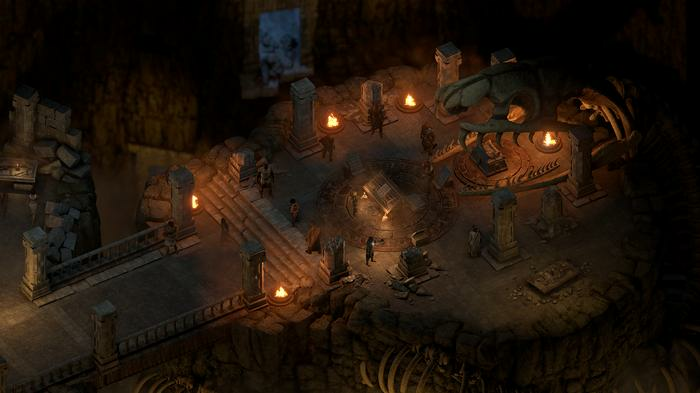 Likewise, the sprawling isometric environs of the Deadfire Archipelago are largely consistent with the first game but the character inhabiting those spaces feel a lot more lively and charismatic. I’m not entirely sure how much of the first game was voice-acted beyond the main cast. However, it feels like the amount of voice acting in Deadfire is a substantial step-up by comparison. At times, it feels like almost every named NPC in the game is being voice-acted. It’s a small touch but adds so much extra personality to each of those characters and contributes greatly to the “tabletop feel” of the experience overall. It also helps build up a more tangible sense of what the culture in the setting is. 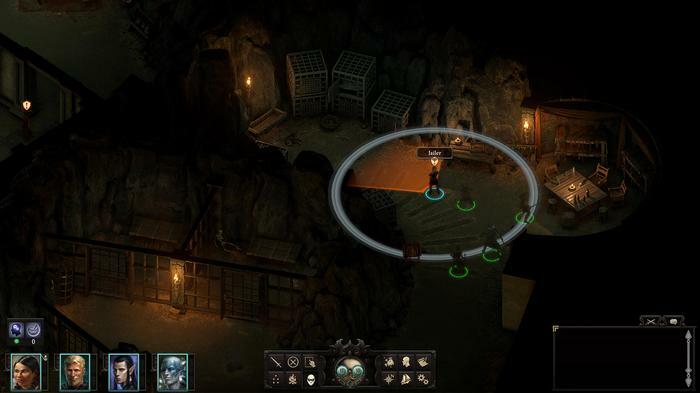 Deadfire does a great job of expanding overall the scope of the Pillars world but, importantly, it does so while also managing to keep the tone relatively consistent. At first, the mish-mash of Polynesian tropical islands, colonial outposts and piracy can feel like a major departure from the first game’s more classical fantasy setting. However, it doesn’t take long for concepts like ancient Engwithan devices and animancers to make their way into the mix. If anything, my biggest concern coming out of the game is, should Obsidian look to pursue a third game in the series, whether they’ll realistically be able to top this one for scope. 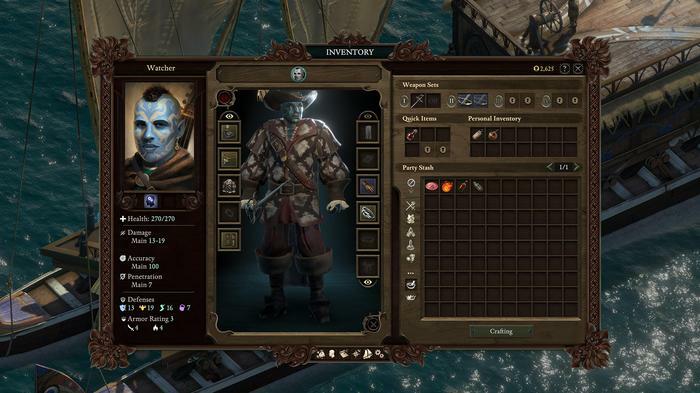 The character models in Deadfire have also received a major buff. Everything looks a little sharper and more detailed and the silhouetting of your party members is also a bit more distinct - which helps in combat. Enemy variety is better than the first game but probably not as good as it could or ought to be. It feels like you’re either fighting pirates or lizard-people way too much of the time and the few times this gets spiced up is usually during the all-too-brief boss encounters of the main quest. If I had to summarize the difference between the flow and feel of Deadfire and its predecessor, I’d undoubtedly fall back on one specific thing. In the first game, it sometimes felt like you were reading a really interesting and well-thought out sourcebook for a tabletop roleplaying game more more than it did the experience of actually playing one. It was fun - but it was also a little dry at times. That isn’t the case here - and it makes for a much more involving and memorable experience. In the same way that sprawling turn-based strategy games like BattleTech and X-COM evoke that raw feel of a board game (minus the tedious setup process and pesky human players), Pillars of Eternity 2: Deadfire comes as an incredibly-accurate encapsulation of what tabletop roleplaying feels like. What’s more, it feels closer to that ideal tabletop experience than maybe even some of its most highly-venerated ancestors do. There’s banter, there’s exploration, there’s combat - and almost-every aspect of that experience feels meaningful. Again, with Pillars of Eternity 2: Deadfire, Obsidian make the case not just for another one of these games but maybe one of the best in the genre to date. If you’re a fan, you’ll absolutely want to get stuck into it sooner rather than later. 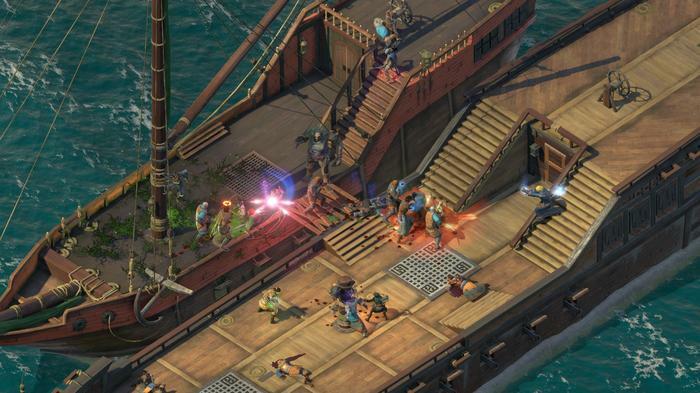 Pillars of Eternity 2: Deadfire is available now on PC and Mac via Steam and other digital distribution platforms. The Nintendo Switch, PlayStation 4, and Xbox One version of the game is due for release later in 2018. Disclosure: I backed Pillars of Eternity 2: Deadfire on Fig back in 2017.